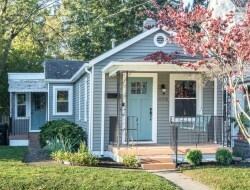 Who doesn’t love a charming, fully renovated, move-in ready home? We do and we think you’ll love this cute Shotgun style home in the Germantown area. If you have your eye on real estate Louisville we think you should take a closer look at 970 Samuel St. This home features 2 bedrooms, 2 bathrooms, and is now listed at $165,000. The kitchen includes all stainless steel appliances, butcher block counters, new tile floors, and a gas stove. 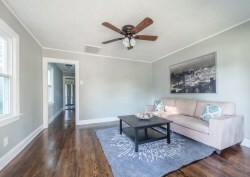 The character of this home is further developed by the refinished original hardwood floors which stretch throughout the rest of the living space and one of the bedrooms. The master bedroom has an en-suite bathroom which is stylishly designed and decorated. The serenity of the backyard is instantly noticeable. A two tiered deck off the back of the home is a great feature perfect for enjoying the backyard with family and friends. If this home piques your interest please contact Jamie Klein or Scott Boehnlein of Family Realty.